We’ve had many prospective trampolinists ask us whether a trampoline on their lawn will kill the grass underneath or whether it will actually accelerate the growth of grass. People often hear conflicting reports from their friends, but today, we want to do our best to answer this question. However, the short answer is… it may do both, but there are plenty of things that you can do to ensure that your new trampoline has a minimal effect on the appearance of your backyard. In fact, we think that a Vuly trampoline, with it's sleek appearance, could even improve the way that it looks! A trampoline mat is usually made of material that blocks a fair amount of sunlight. Depending on where you live, the weather and the type of grass on which your trampoline will sit, this reduced sunlight could either cause the grass to brown or become more lush and green. For example, if it’s an extremely hot summer, that part of your lawn may appreciate being underneath shade, and will thrive much better than the rest of your yard. Alternatively, the lack of sunlight could instead lead to nutrient deficiency and a very patchy and sad looking lawn. The reaction of your grass to your trampoline’s legs is much easier to predict. Because it will be a heavy weight on the ground, the legs will likely cause the grass underneath to die. If the soil in that area also tends to become very soft when wet, you trampoline may also indent into the lawn and become lopsided. If the lower frame rings don't sink to the ground, the actual surface area affected will be much lower for trampolines—like Thunder Summer and Vuly2—that have very small feet. Remember: A level—and soft, but not squishy—surface is crucial for trampoline safety. The good news is that whatever changes your trampoline would have in store for the appearance of your backyard, you can easily avoid. 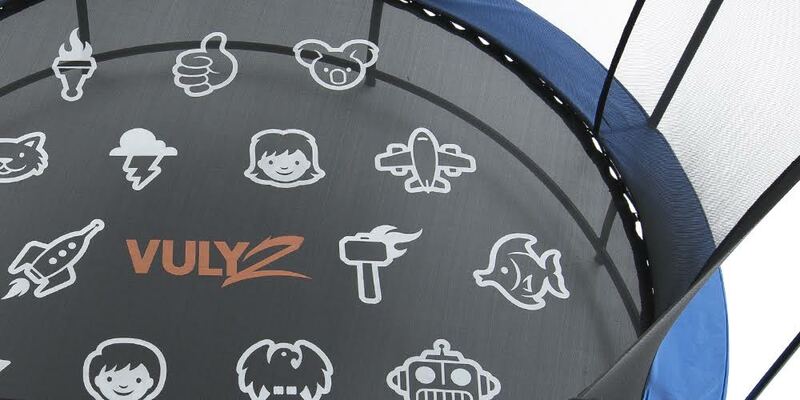 Most of Vuly’s trampolines are very light. You can move them around the yard frequently with the help of another person—if you have the space—to avoid any death or overgrowth of the grass. This gives you the chance to mow underneath or throw on a few seeds depending on how the lawn looks. 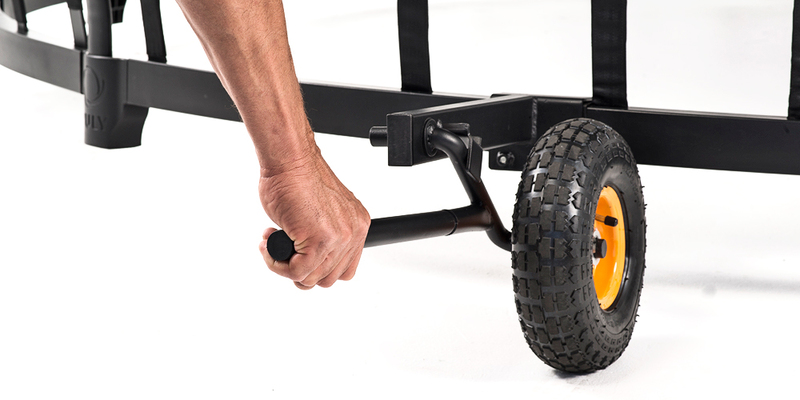 You can also get yourself a Wheels kit to move your heavy Thunder Summer even more easily than a conventional trampoline! Alternatively, when assembling, place your trampoline on synthetic grass or even soft bark. It’s important that it be set up on a forgiving surface, but this doesn’t have to be your pride and joy lawn, if you’re worried about it! Have you already had a trampoline set up and noticed some changes to the appearance of your lawn? Let us know what happened and how you addressed it!